1. Track assets. Did you know that 64% of businesses conduct manual searches for assets every day? And each of those searches takes approximately 30 minutes or longer to locate an item. It often the case that the asset is never found, resulting in lost revenue. Take the opportunity before Q1 to make a list of all your assets – these can include items like, furniture (desk, chairs, conference tables, etc. ), equipment (computers, printers, fax machines, telephones, machinery) and transportation (cars and fleets). Once you’ve inventoried your business assets, add labels or codes so you can easily identify which have been tracked. Organizations that manage their assets properly will achieve 20% in cost savings per managed asset in just 9 months. 2. Have a backup plan. There are many disasters that can put a company out of business. Your company may need to obtain insurance for the business itself. As we’ve recently seen with Sandy, there is no telling when a disaster could strike. A company should consider data back up as a pre-emptive protection against data loss. And if back up was not achieved, look to company’s that provide data recovery to get back important documents. 3. Consider a work-at-home day. A company can save approximately $2,500 per employee annually by allowing one work at home day per week. Telecommuting is on the rise as evidenced by the 10 million Americans who telecommuted at least once per month last year. Not only can telecommunication save the company money on bills, adding a clause to contracts can save money on raises and salary negotiations. Purportedly, morale is boosted and productivity is increased both in the workspace and while the employee is at home. 4. Jump on the BYOD bandwagon. Bring Your Own Device (BYOD) is a hot topic these days. Some businesses fear BYOD poses a security risk, however, done correctly, BYOD won’t pose a threat and can save your company money. With 81% of all employees using at least one device for business use, it’s no surprise that 74% of companies now allow some form of BYOD. The idea is that your company can save money on equipment costs, training (for new devices) cost and can provide an after-hours work option, while also enhancing employee flexibility. 5. Use free applications. VOIP calls (Google Voice), video chats (Skype), in-cloud document storage (DropBox), project management software (Evernote) and Instant Messenger (AIM) are all free options your business could, and should, use to cut costs. There are many other free applications besides Google Voice, Skype, DropBox, Evernote and AIM, this was just a list to get you started in the right direction. Choose the service that works the best for your company, but be sure to take advantage of all the add-ons and plugins offered. You’d be surprised how much money using these free applications can actually save you. The five tips listed above are just a jumping off point. Implement one or two and evaluate how much money you saved from Q1 2011 to Q1 2012 in order to determine which options help you realize the greatest savings potential. 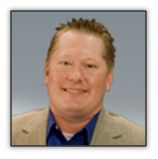 About the Author: Brian Sutter is the director of marketing at Wasp, responsible for the development, execution and education of Wasp products as well as SMB knowledge.